The sixth man is a funny concept. The NBA defines the sixth man of the year as “the league’s most valuable player for his team coming off the bench as a substitute.” This definition over time seems to have evolved to ‘the player who scores the most off of the bench’. Even then, there’s a bit of a disconnect. Still, the concept of ‘how are we going to score when our best player is off the floor’ is an important one for every team to address. Every team would love to have a player like Manu Ginobili, an all-star level talent, capable of running a first team offense, but comfortable in a limited role. Unfortunately, those guys don’t grow on trees and if they did, that tree would be in the midst of a contentious battle between 29 GMs compiling assets to trade for it, while Sam Hinkie trades away his best player for seeds to produce the future tree in 20 years. (But I digress). Just how good he was last season. Just how abysmal the Warriors were without him, particularly on offense where the team generated a 95.2 offensive rating. So the question becomes, how can the Warriors generate offense when Curry is not on the floor? If the Warriors just wanted scoring, they could have retained Jordan Crawford. Given enough time, Crawford will score 15-20 points. But at what cost and whether it contributes to winning basketball is entirely a different question. The Warriors instead opted to use their mid-level exception on Shaun Livingston, a player superior at every aspect of basketball except taking shots. By definition, Livingston or Draymond Green are the likely candidates to be the Warriors sixth man (most valuable player off the bench). Neither are especially good scorers. Low usage offensive players who pass well, play high quality defense, among other various skills. And while both the Warriors are productive players, neither address the Warriors biggest bench issue last year; scoring. Perhaps Harrison Barnes takes that step, the Warriors assumed he would after his rookie year, but even then, we’ve seen no signs that Barnes is a player to create his own offense or score at a high rate. Until proven otherwise, there is no reason to assume Barnes is going to magically turn into a Jamal Crawford type of contributor on offense. So the question still looms, how are the Warriors going to generate any consistent offense when the starters are off the floor? None of their bench players are consistent scorers. 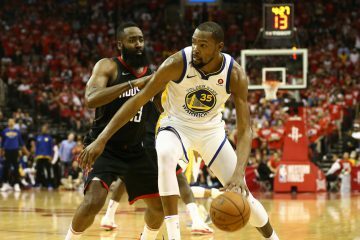 The Warriors best answer might be looking at teams like the Miami Heat and Indiana Pacers on how to generate offense without a pure sixth man scorer. The Heat utilized rotations to mask the lack of any high usage scorers off their bench. Last season, the Miami Heat played exactly zero meaningful minutes without at least 1 of their core 3 scorers the court. The Heat’s 4th most common lineup combination was Dwyane Wade and four bench players (The 3rd was Lebron James and 4 bench players). The Heat also featured many Bosh and bench lineups, all in a concerted effort to make sure they aren’t left without a viable scoring option on the floor. The Indiana Pacers utilized Lance Stephenson in bench heavy lineups, almost a defacto ‘6th man’. The Pacers would sub Stephenson early and have him to play with the 2nd unit as the primary playmaker. The Stephenson + 4 bench player lineups was the Pacers second most popular combination and was a net positive. Three of the Warriors 13 most used lineups features, no Stephen Curry, Klay Thompson or David Lee. It goes without saying; these lineups were not particularly productive and could often be pointed to as moments where leads were lost. While the Warriors trio has vastly different games to Miami’s former big 3 or Indiana’s main offensive players, they are all talented high usage scorers capable of carrying the scoring burden of bench heavy units. The Warriors could do this with Thompson, but considering his chemistry with Curry it’s best to limit staggering their minutes too much. That brings up David Lee. Last season, the only player on the Warriors roster to score with any regularity and efficiency without Curry on the floor was David Lee. 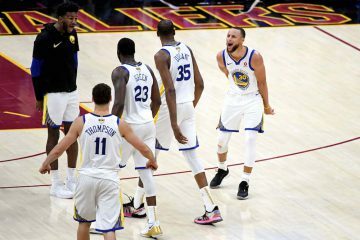 Lee’s TS% actually jumped from 56.2% with Curry to 58.4% without him (per NBAwowy.com). The sample size of Lee’s play without Curry is small (315 minutes) but when you consider every other player took gigantic nosedives, it’s an important one to note. Thompson, Iguodala, Barnes, Green all went from above average to average efficiency scorers with Curry to well below average without Curry. Some of the above is related to the Warriors lack of a legitimate back-up PG for most of the season. Livingston is that, so perhaps Barnes and Green’s efficiency will rise in lineups without Curry. Still, none of the bench players have shown the consistency to be a first option offensively in any lineup scenario, which still renders the bench scoring deficient. Lee doesn’t fit the classic profile of a 6th man or even a starter creating offense like Wade or Stephenson. He isn’t splashing threes, taking players off dribble or throwing down monstrous dunks. But anyway you slice it, Lee has a knack for putting the ball in the basket consistently. He is perhaps the Warriors most consistent offensive contributor. He is a smart offensive player, who understands spacing, cuts to the rim at the right time, is able to run some offense through the mid-post, and post up a little bit. More than anything, he’s able of doing these things regardless of who’s on the floor with him. 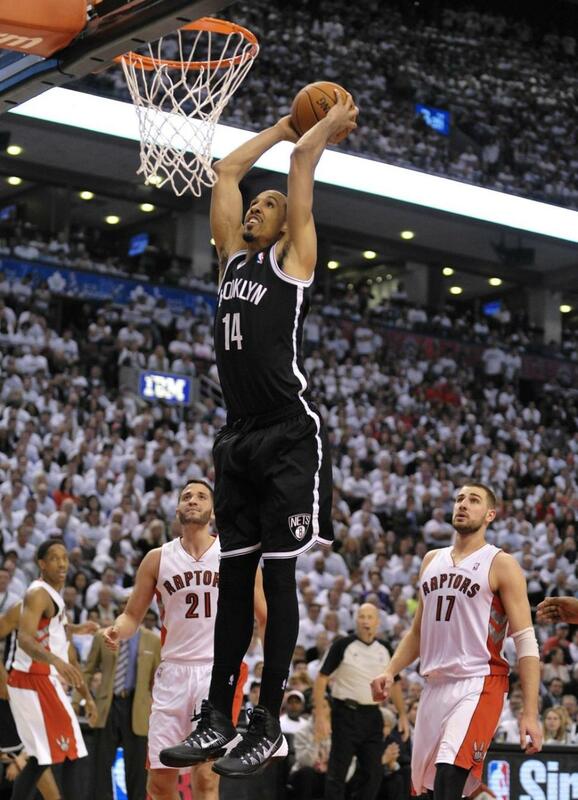 He’s produced like this in poor Knicks teams, in weaker Warrior squads, in whatever scenario. 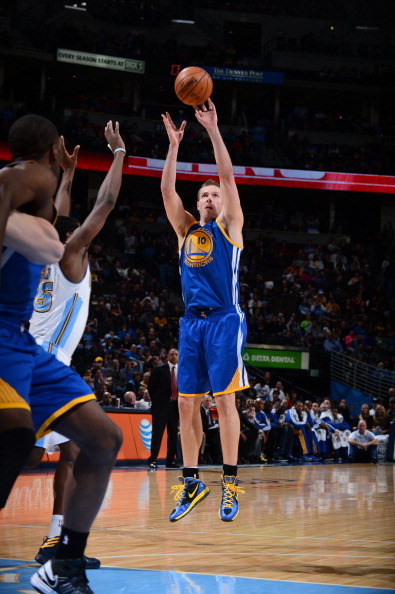 #FullSquad or #FullBenchMob, you get the same DLee. 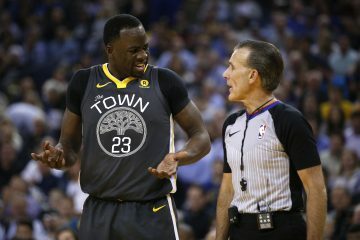 So should the Warriors move Lee to the bench and make him a sixth man? Probably not. Moving a veteran player like Lee to the bench can be tricky. There are egos and a myriad of other factors to consider. That doesn’t preclude a coach from working his rotation in a way that Lee rests when lineups are starter heavy, and Lee comes back in when lineups are without Curry. It’s worth noting, lineup combinations with Lee and no Curry only had an offensive rating at 100.6, which is below average. 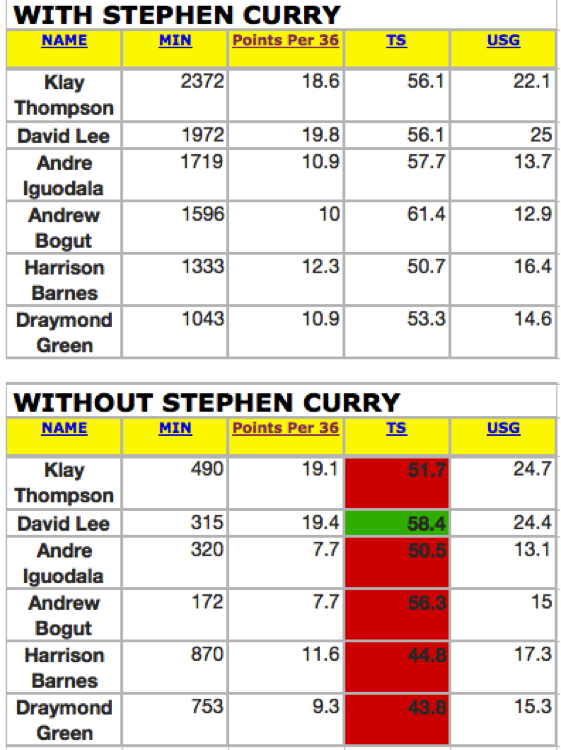 However, bench lineups without Lee and Curry were a much more abysmal offensive rating of 93.2 (in 804 minutes). An improved team oriented offensive system should help, but generating enough offense without Curry will still be a challenge. The Warriors can get away without having a pure 6th man scorer by incorporating scoring minded starters in with the bench. Of all the options available, Lee likely provides the best chance of helping an offensively limited bench generate quality minutes. 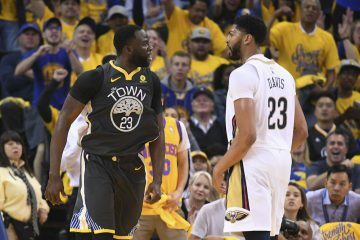 However, Coach Steve Kerr plans to fix a poor bench, moving away from the hockey subs, and utilizing some starters with his bench players is a good start. Great title and subject for the WW masses to debate, Sheed hit a home run on this add on. Cam out. Peace WW.. Good luck keeping the cam bitterness to a halt. Adam’s blog is where I’m at in case you guys have a cam withdrawal.